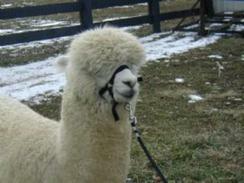 In response to the extra demand from alpaca breeders across the country, we are offering a limited amount of outside breedings to Royal Fawn. Call today to reserve your breedings. 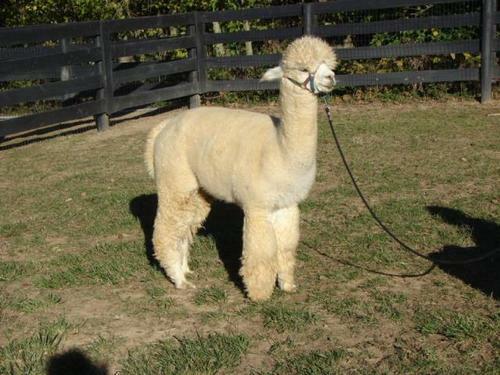 PPPeruvian Royal Fawn, a full Accoyo male owned by Camelids of Delaware, Inc. was recently sold for a world's record price of $600,000.00 to two well-known breeders, Ernie & Barbara Kellogg, Double "O" Good Alpacas, and Mike & Robin Tierney, Maple Brook Alpacas. 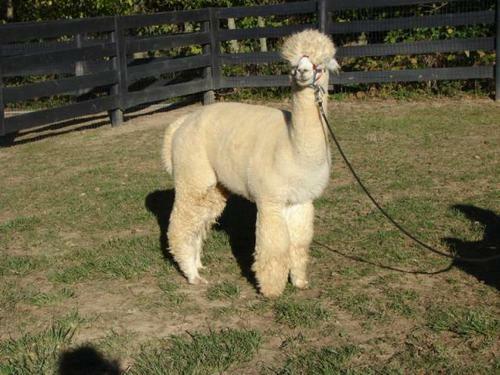 3/4 Accoyo Full Peruvian Royal Fawn son. 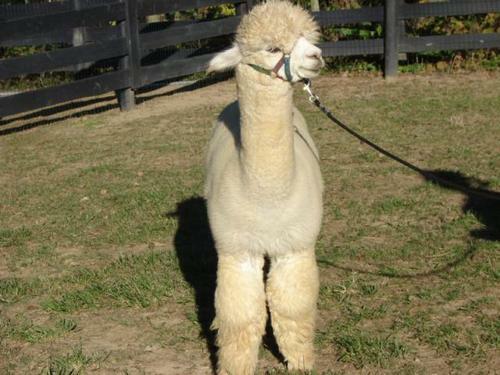 Well balanced gentle disposition male with exquisite dense fiber characteristics. 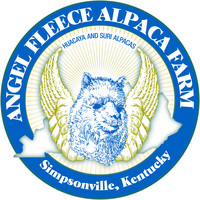 Royal Gentleman has produced white and even Rose Grey crias with unbeleivable fleece and confirmation.